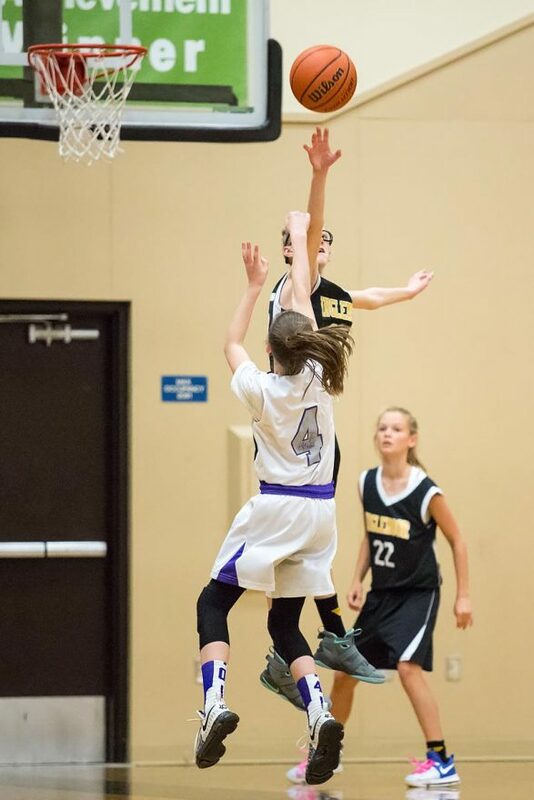 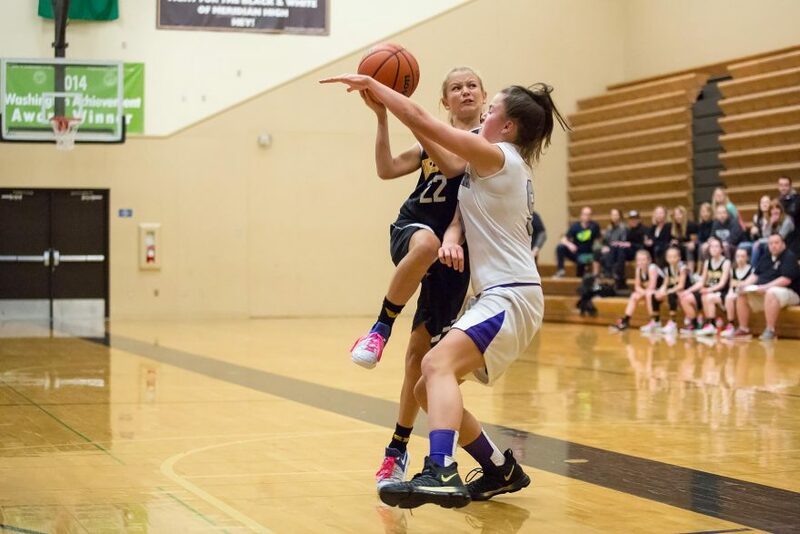 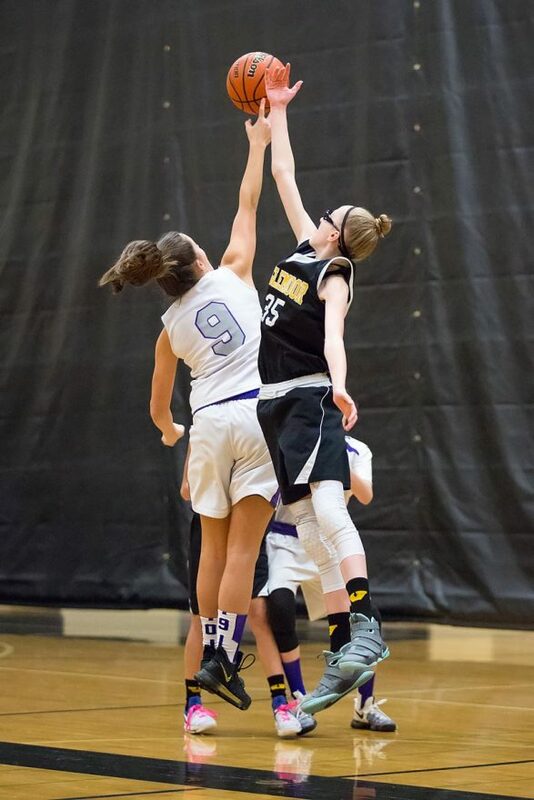 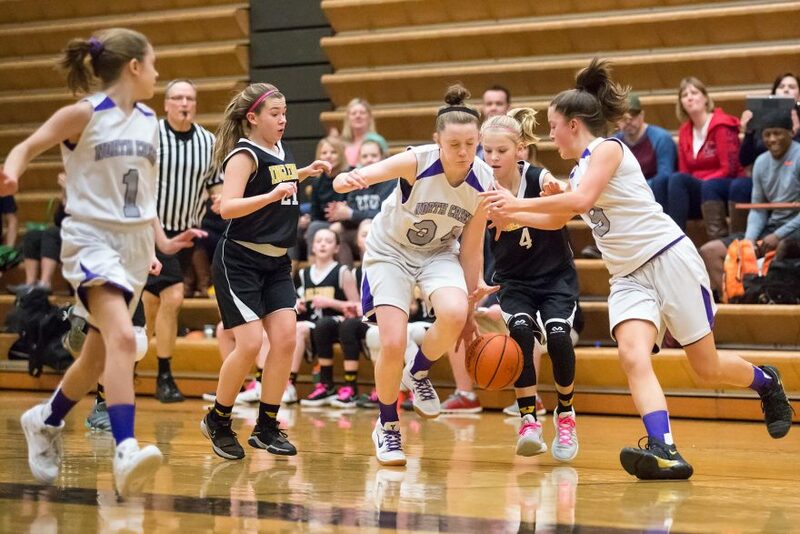 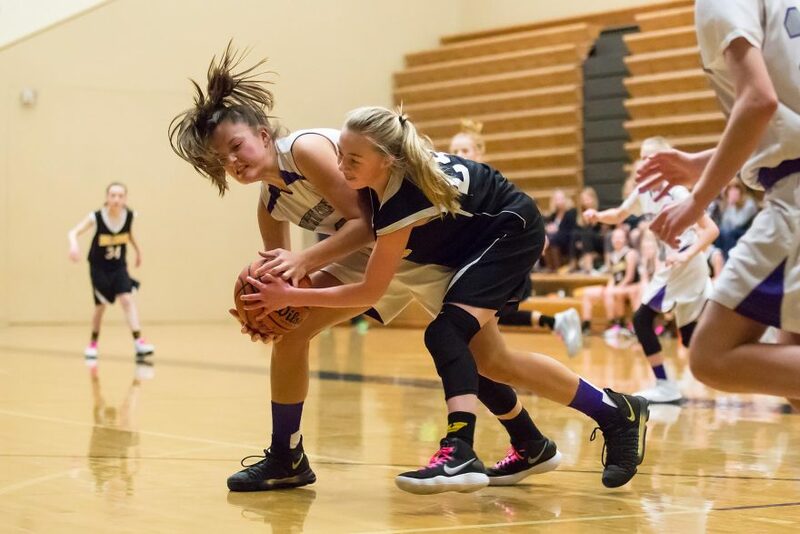 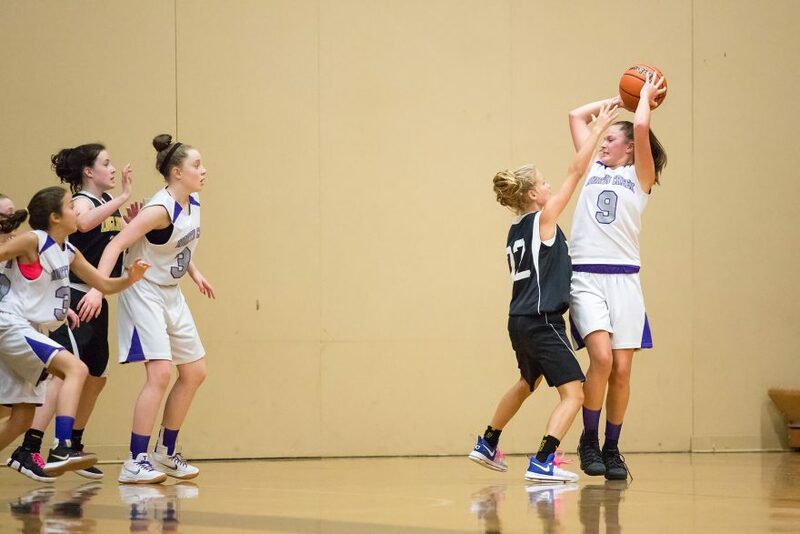 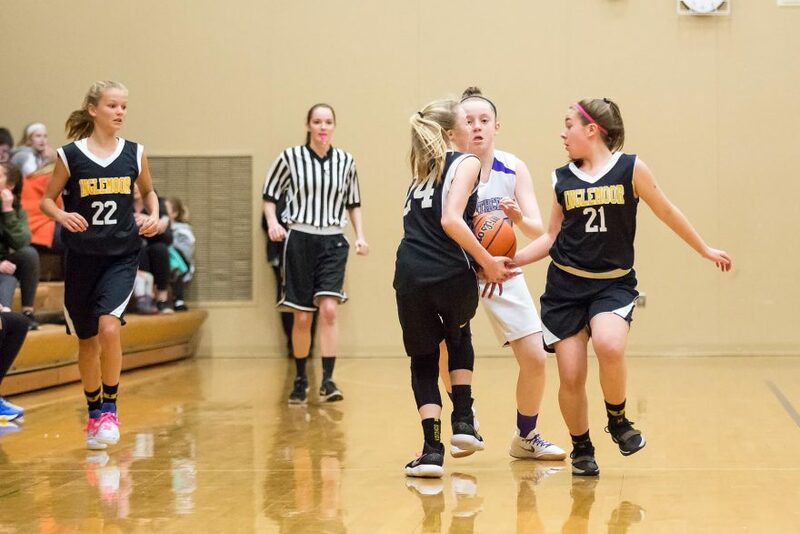 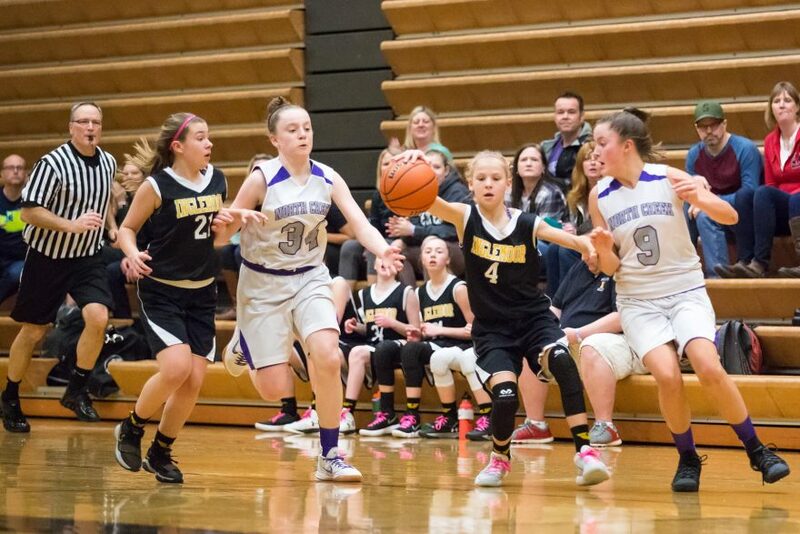 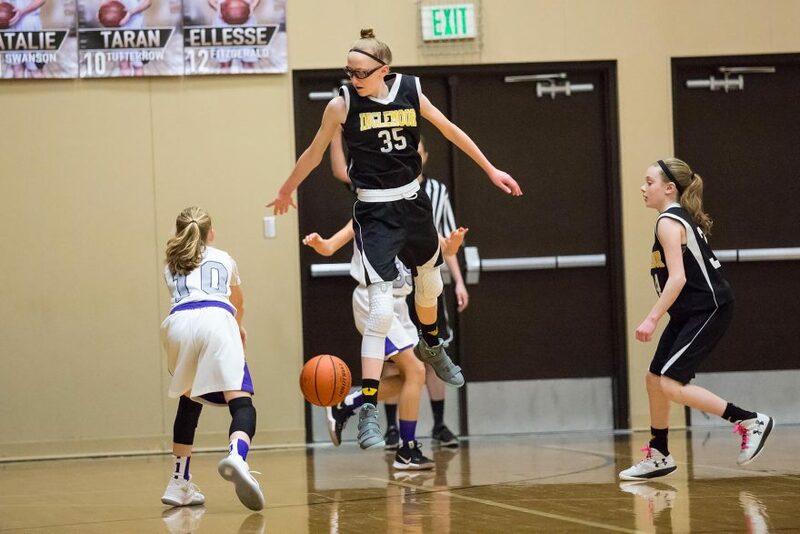 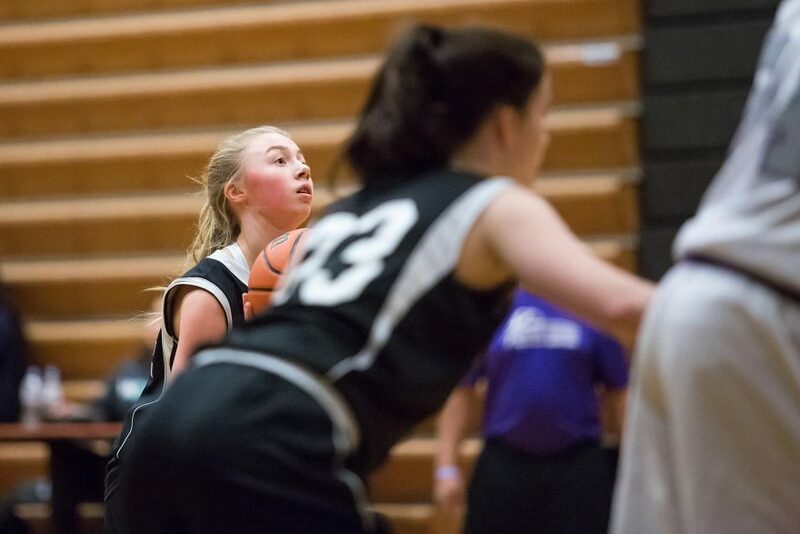 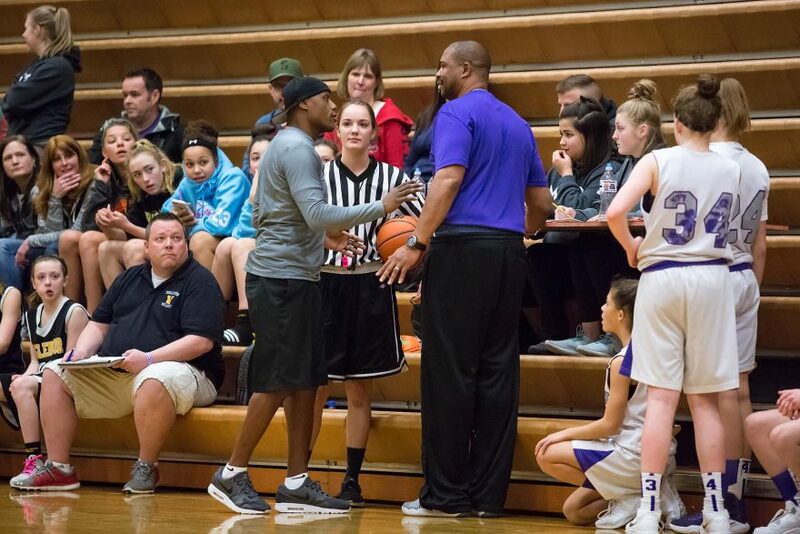 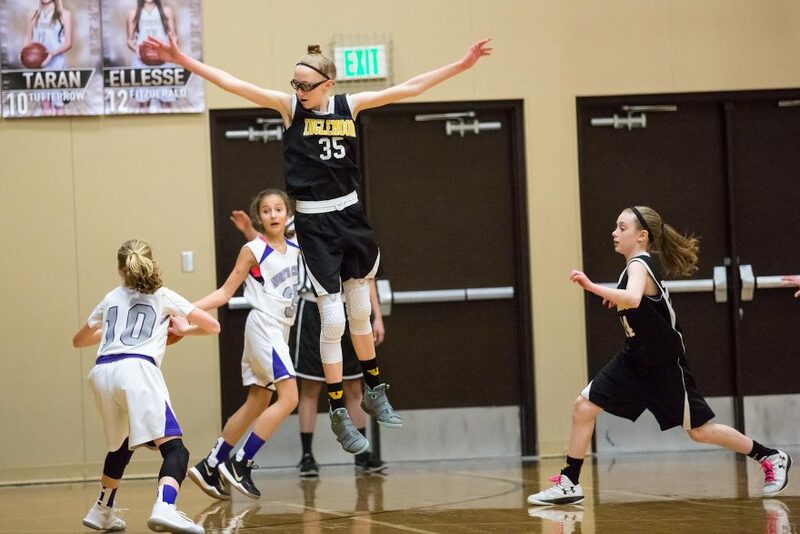 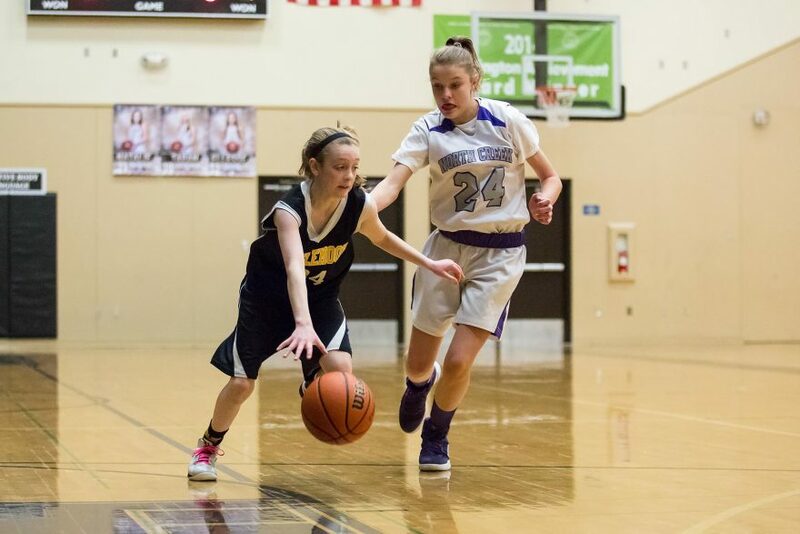 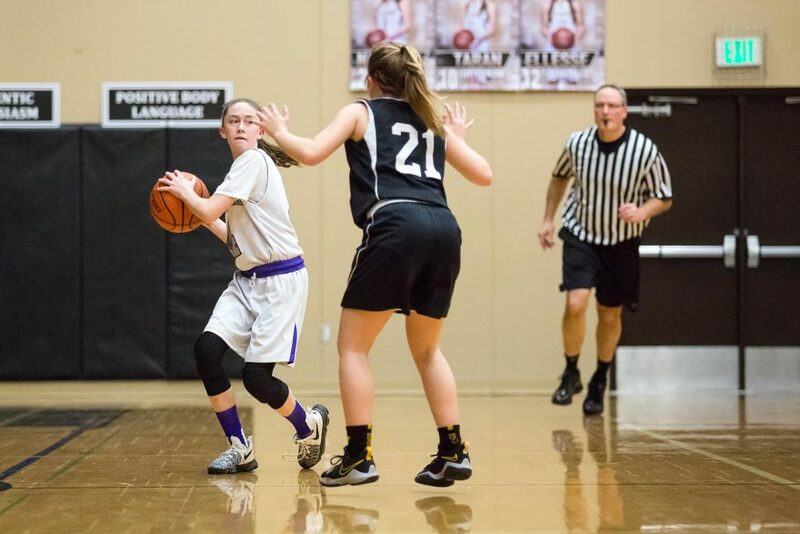 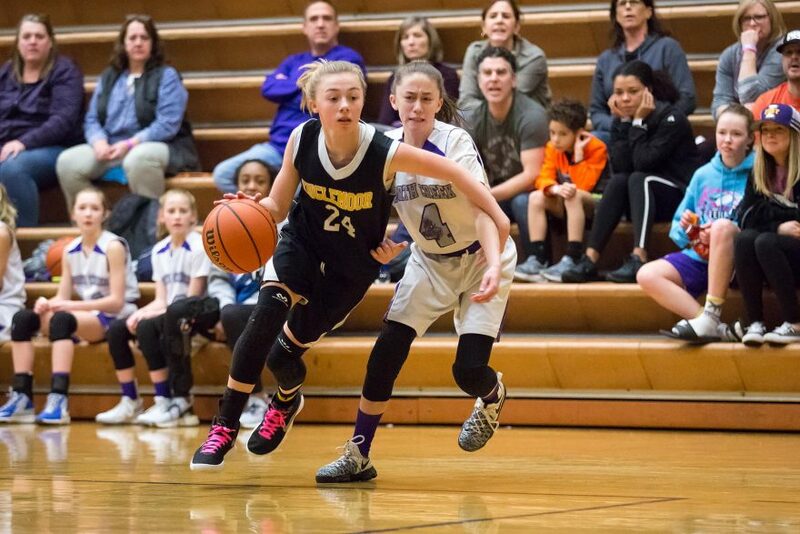 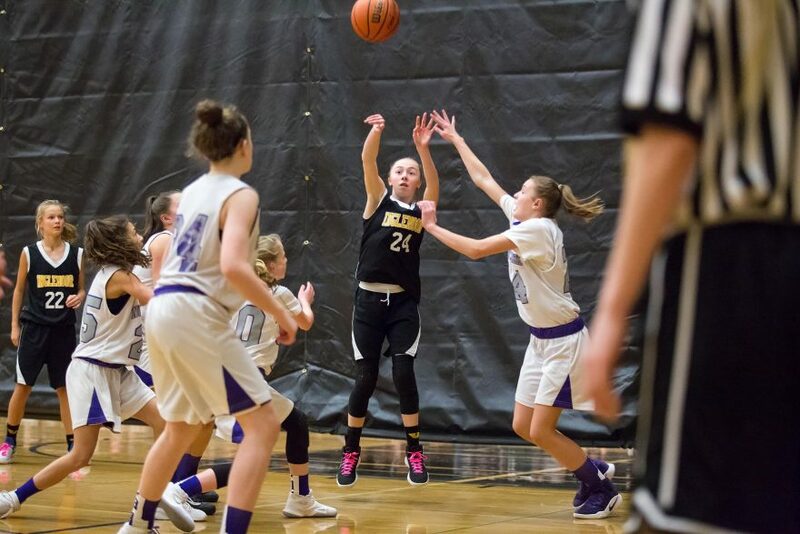 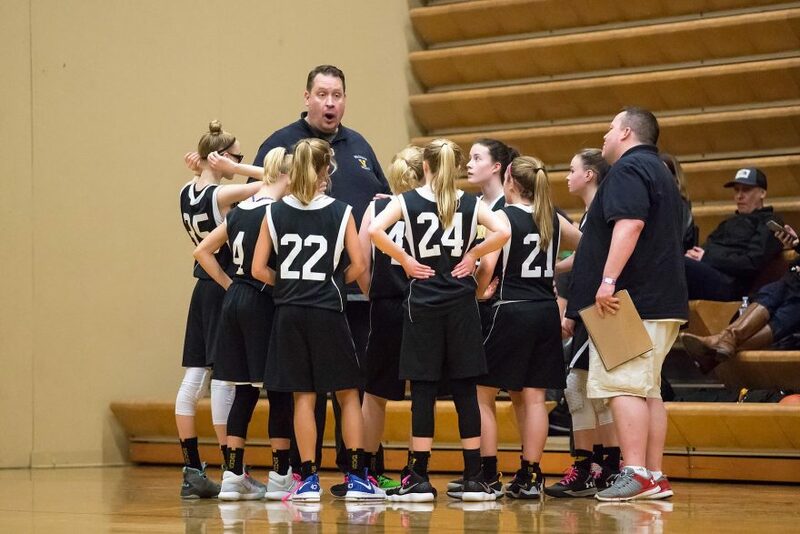 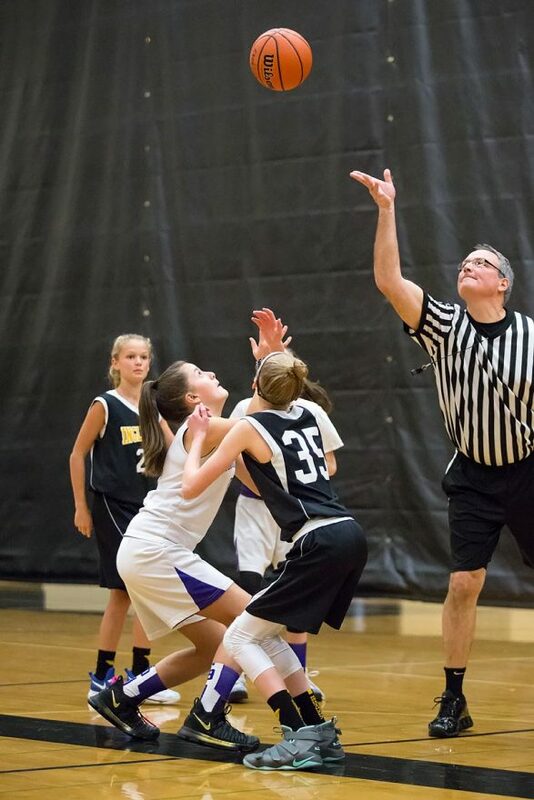 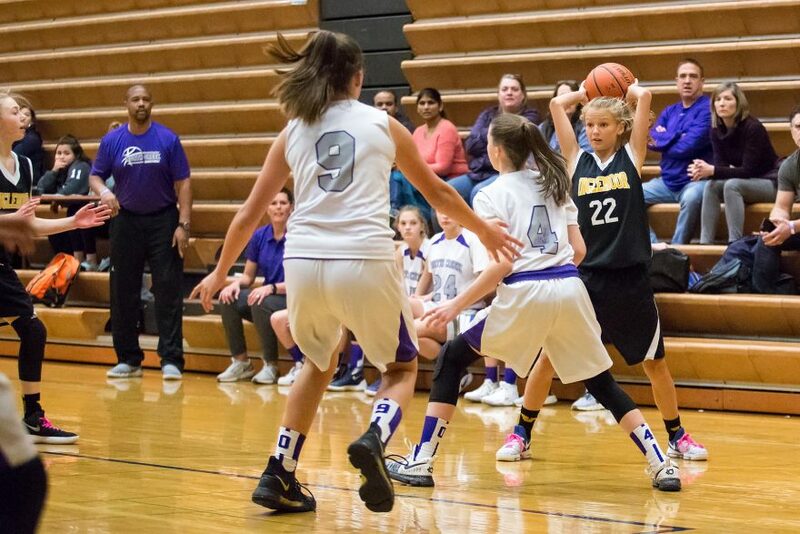 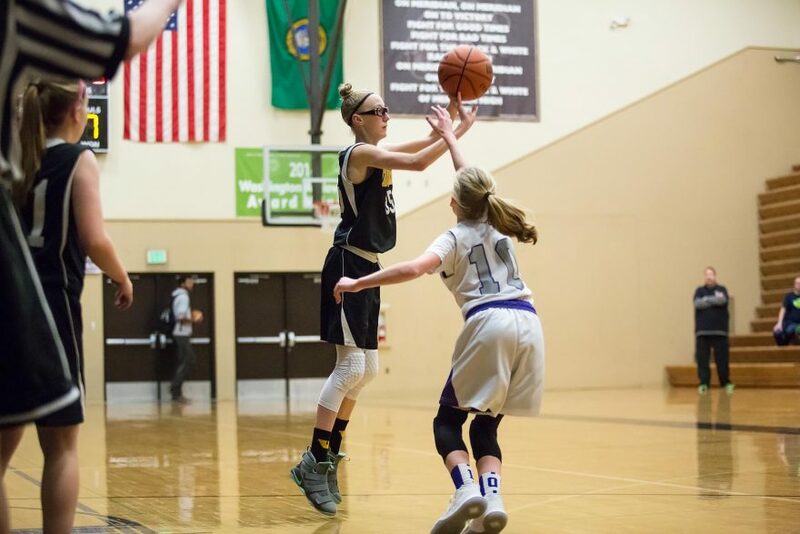 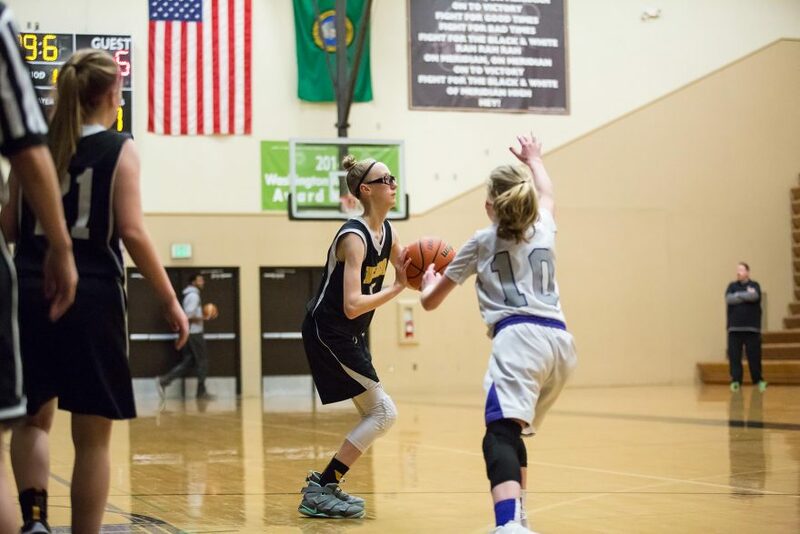 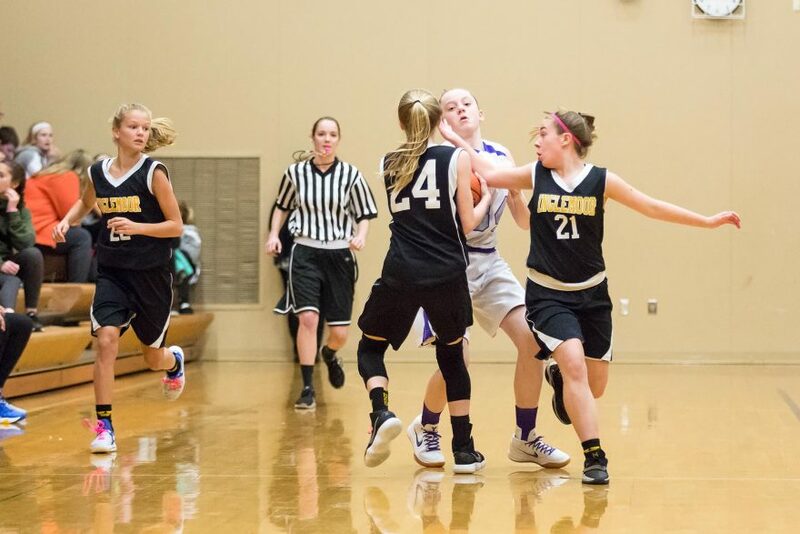 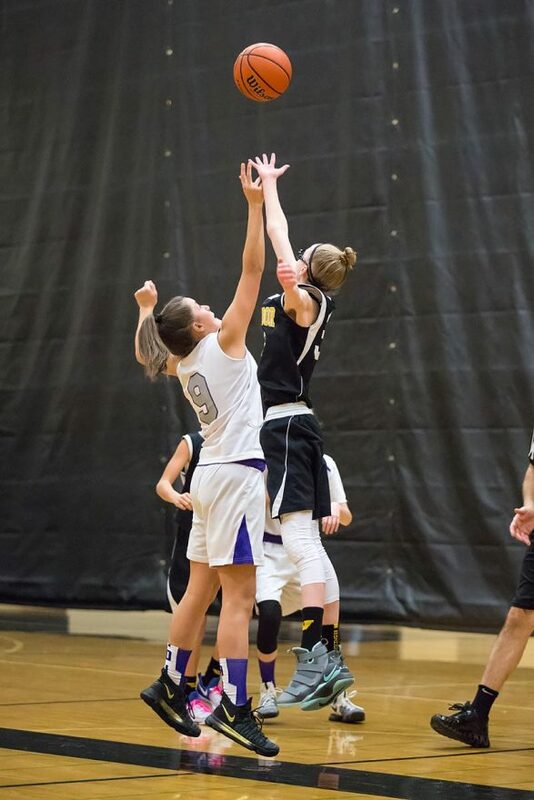 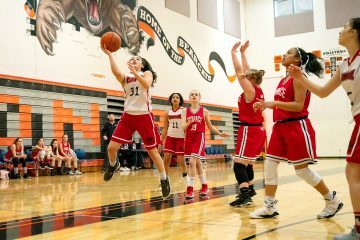 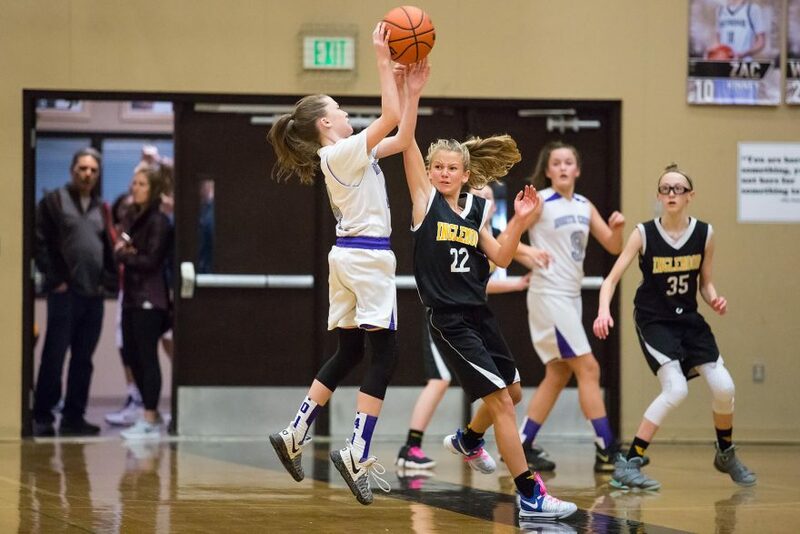 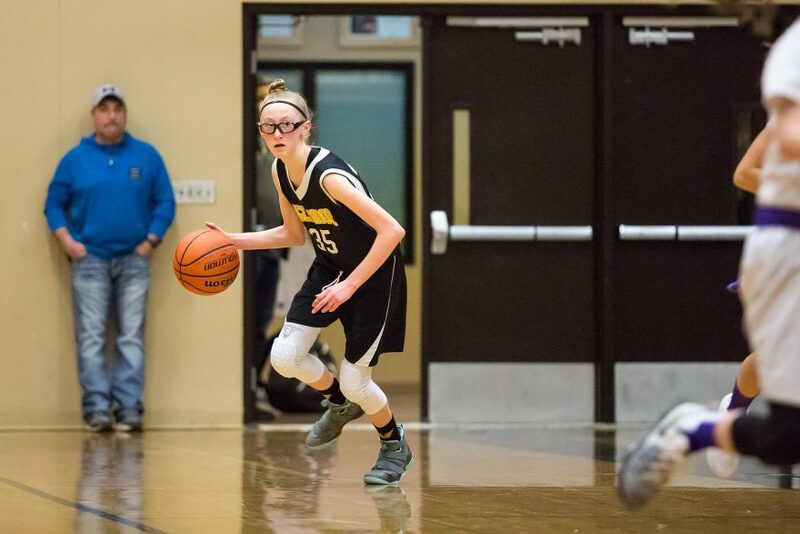 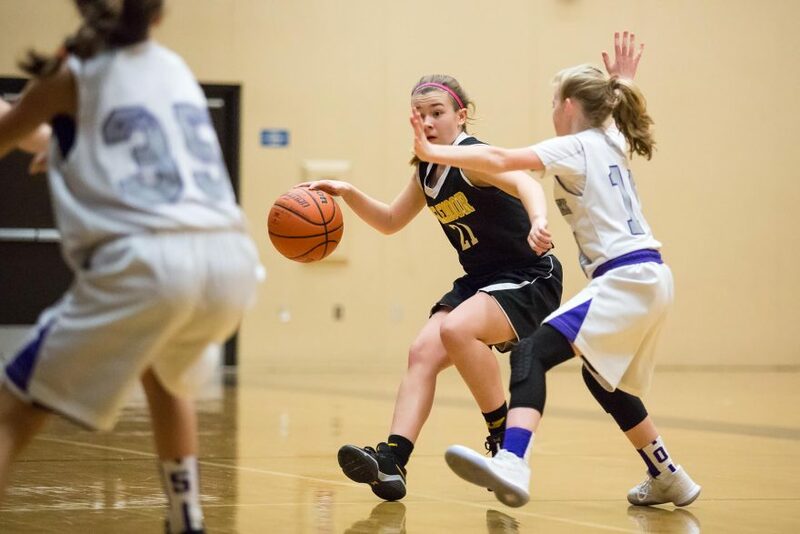 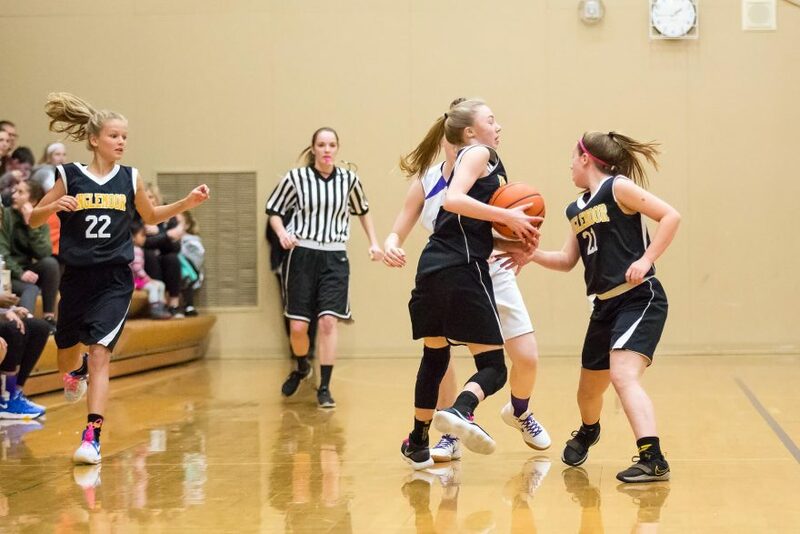 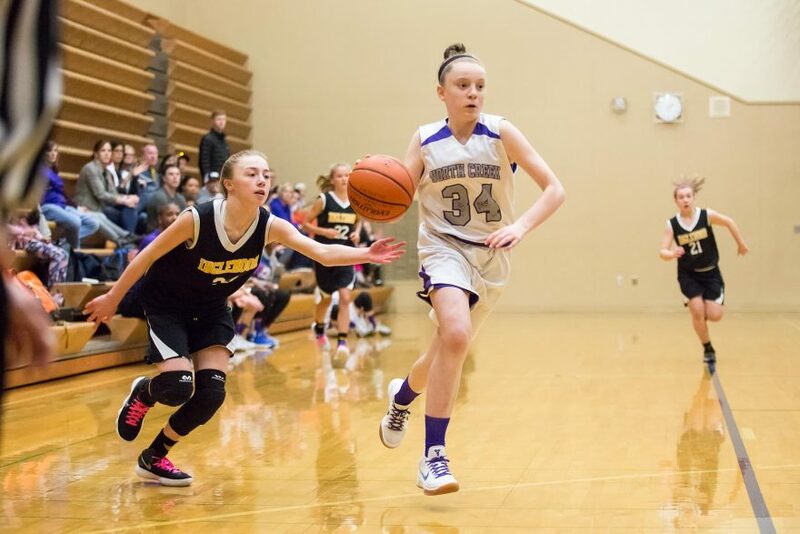 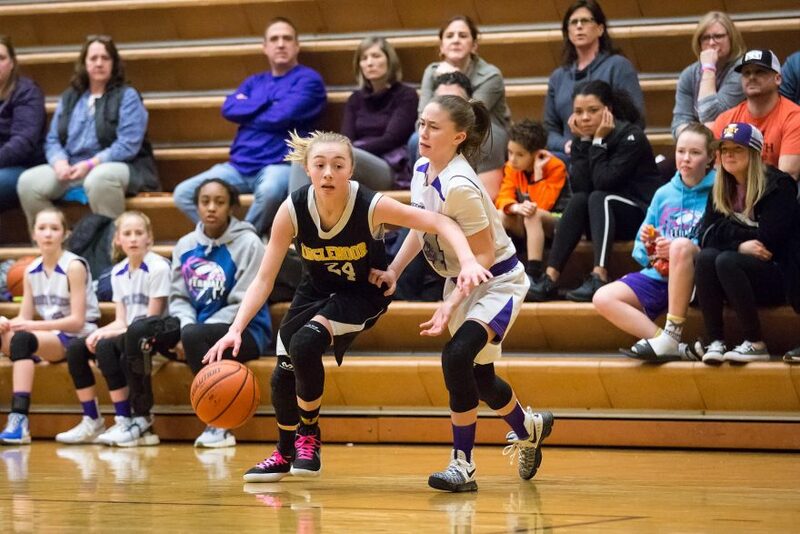 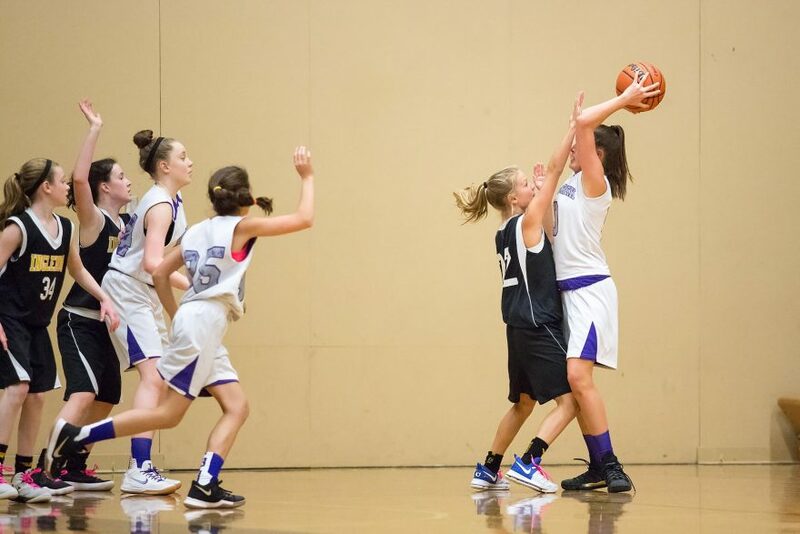 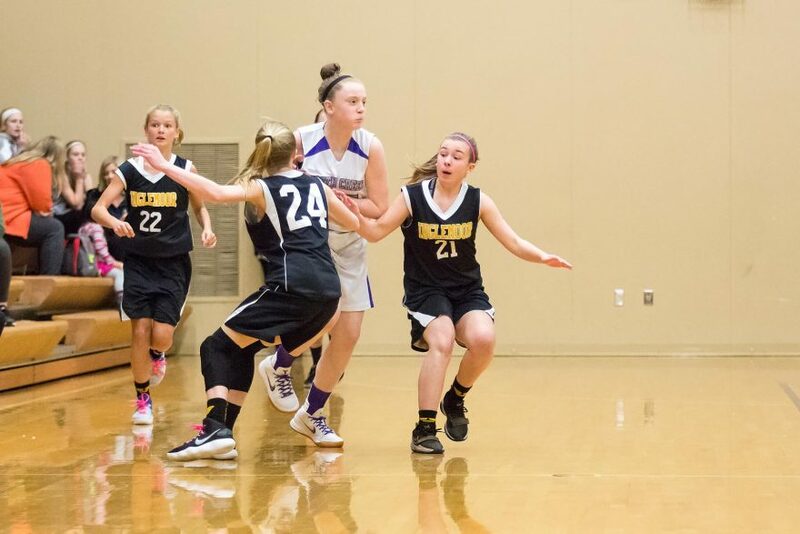 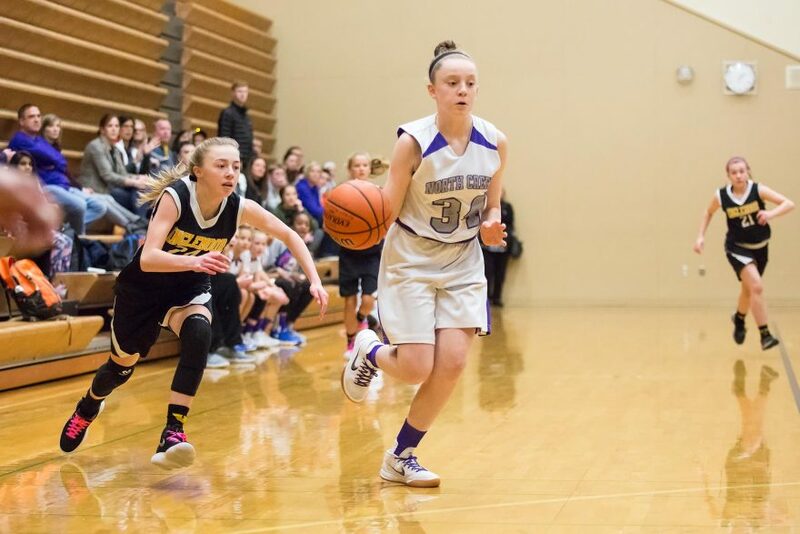 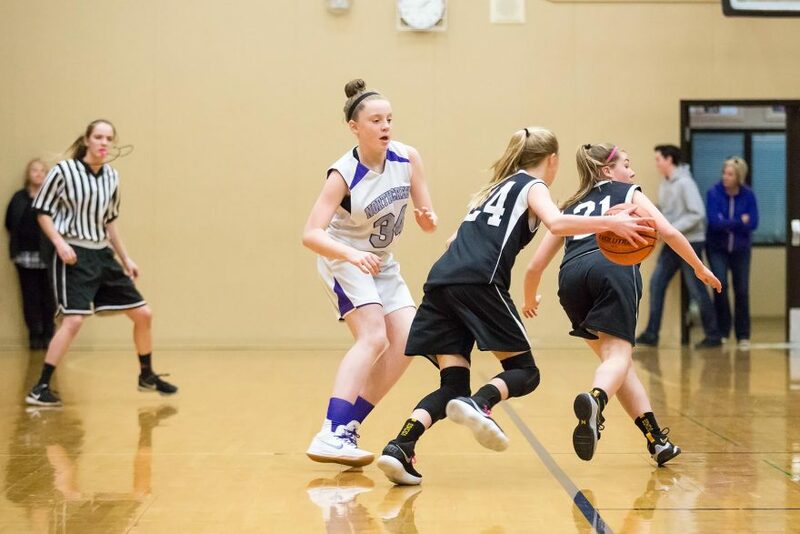 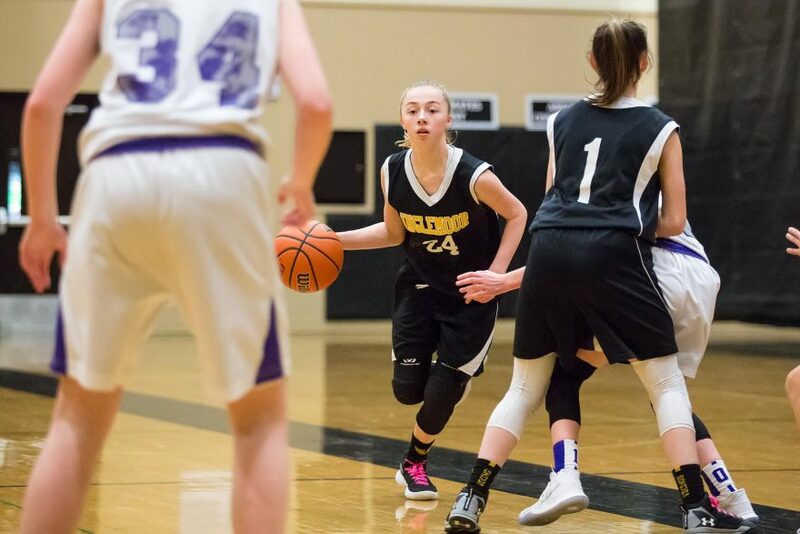 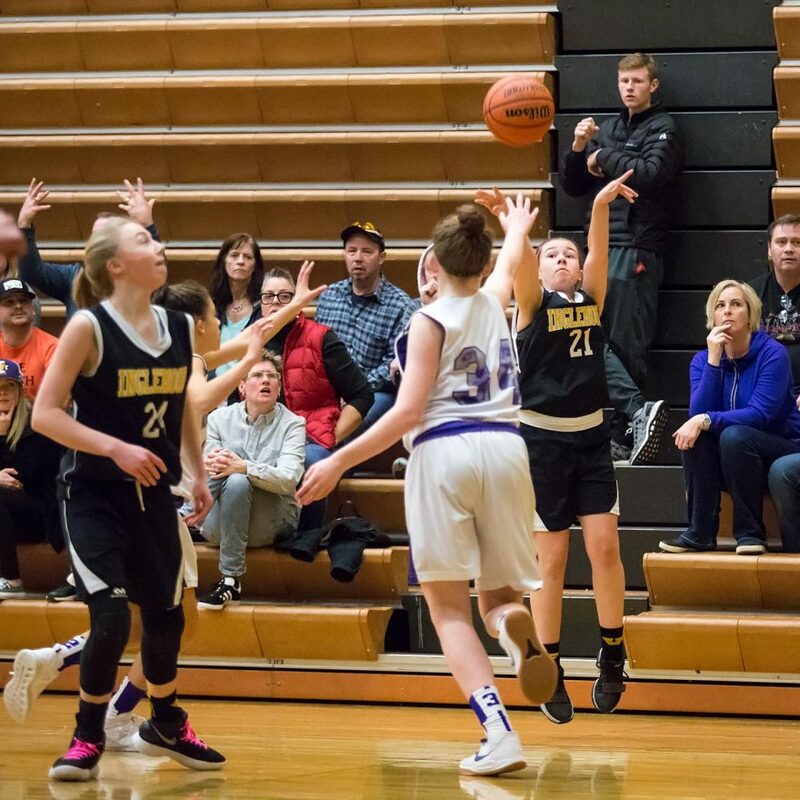 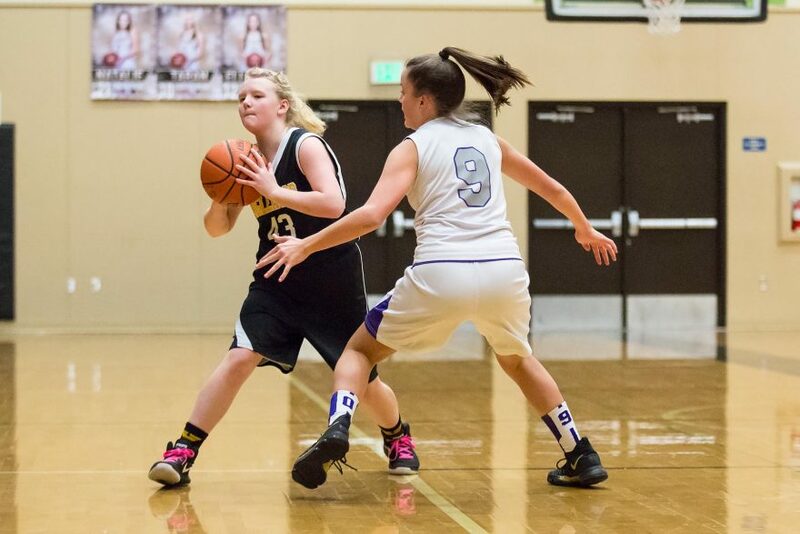 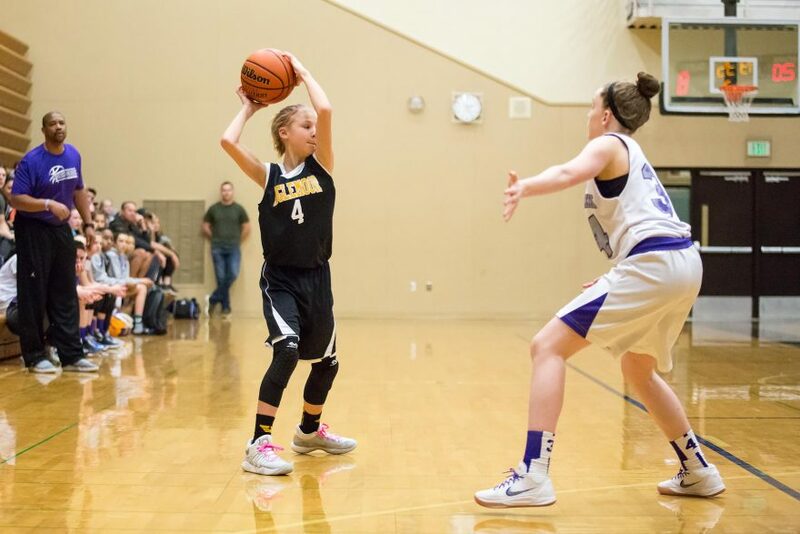 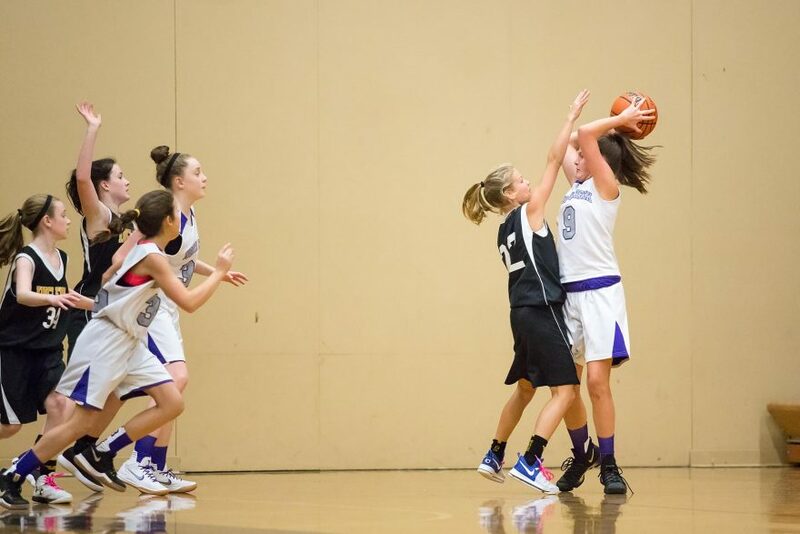 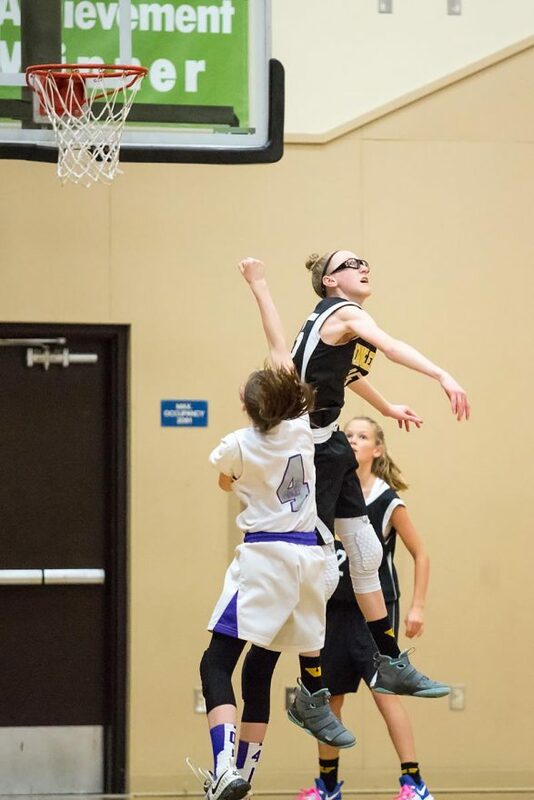 In their third game of the tournament, Inglemoor took on a talented North Creek team, with several former Northside Swarm players finding themselves on opposing sides of the ball. 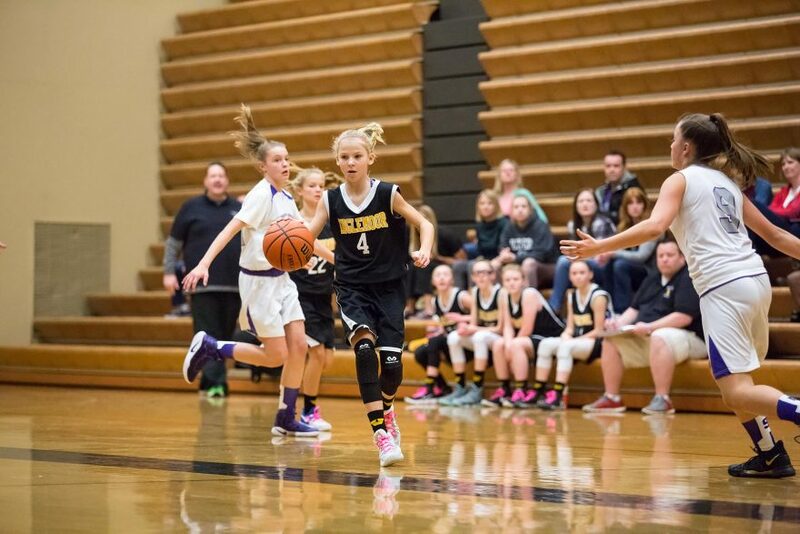 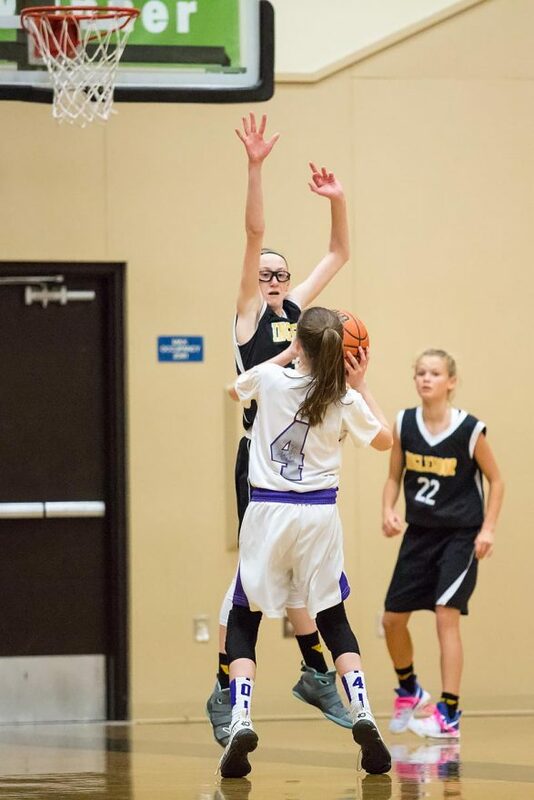 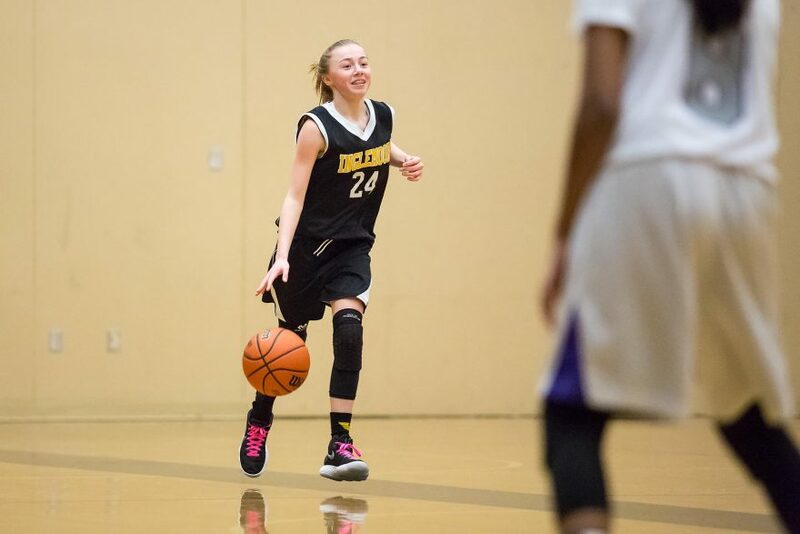 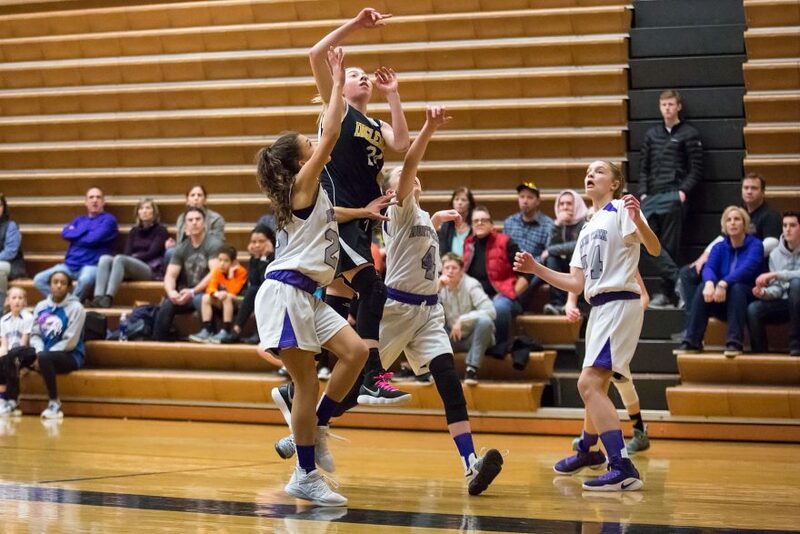 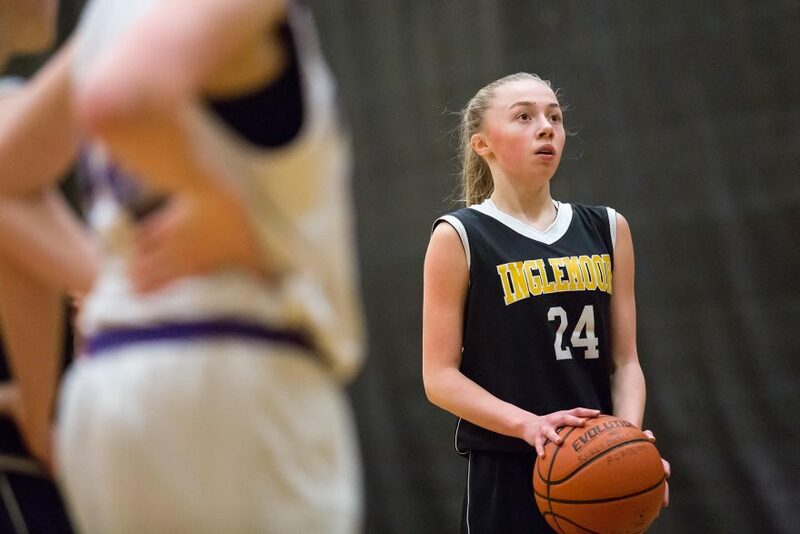 Again, Inglemoor jumped out to a commanding lead, scoring six points in the first two minutes of the game, and holding North Creek scoreless until nearly nine minutes into the half, when North Creek hit their first shot to make the score 2-13. 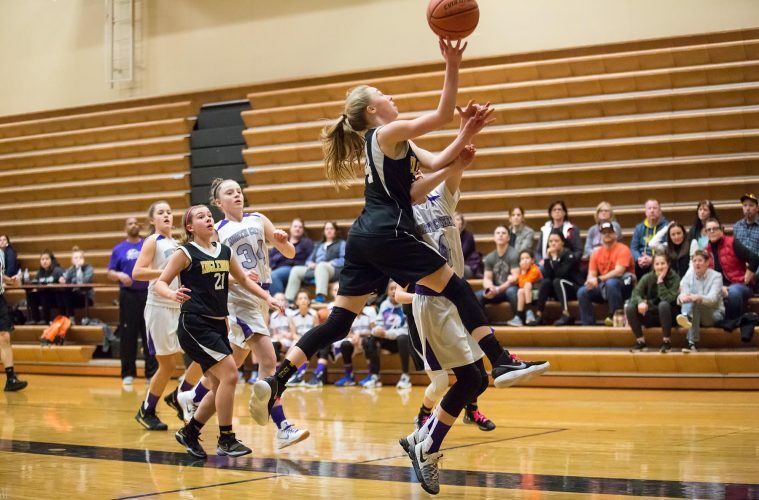 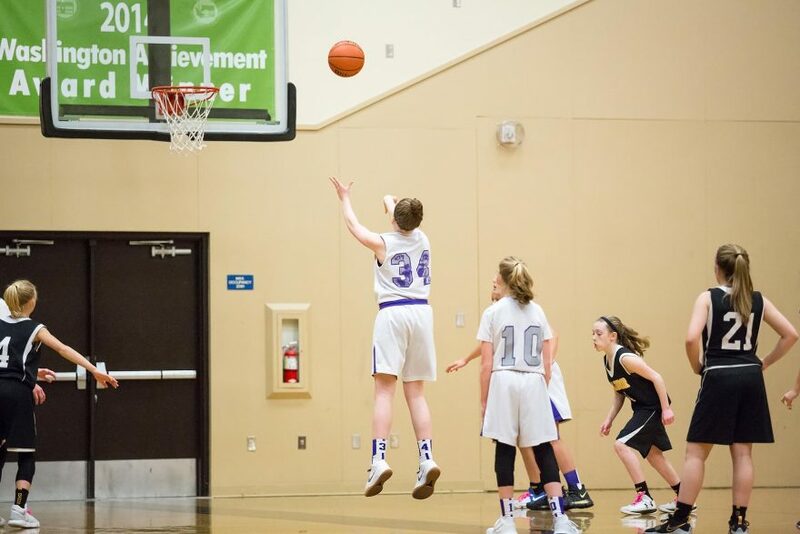 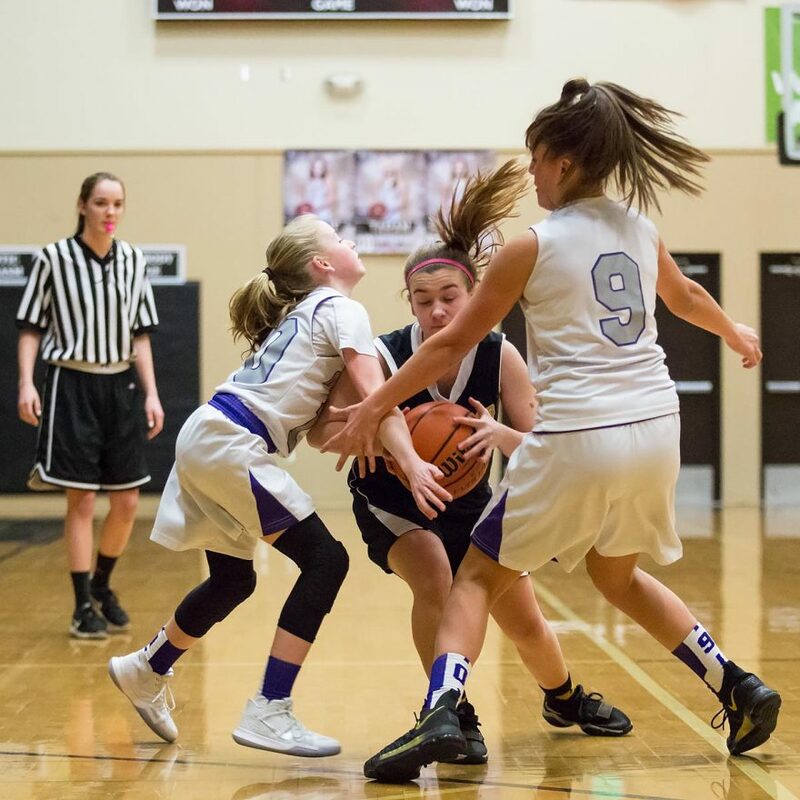 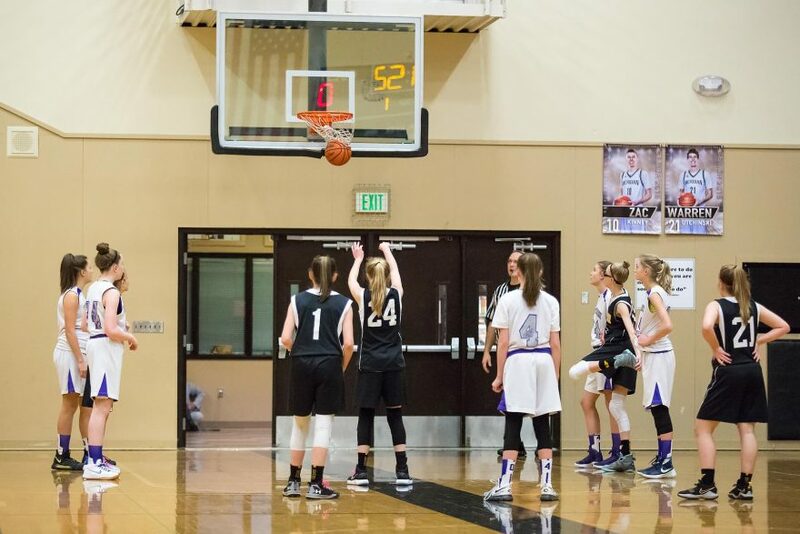 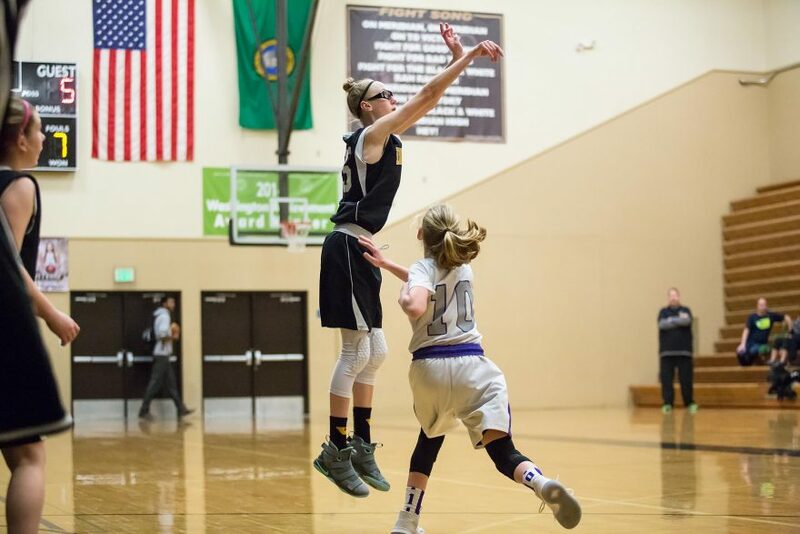 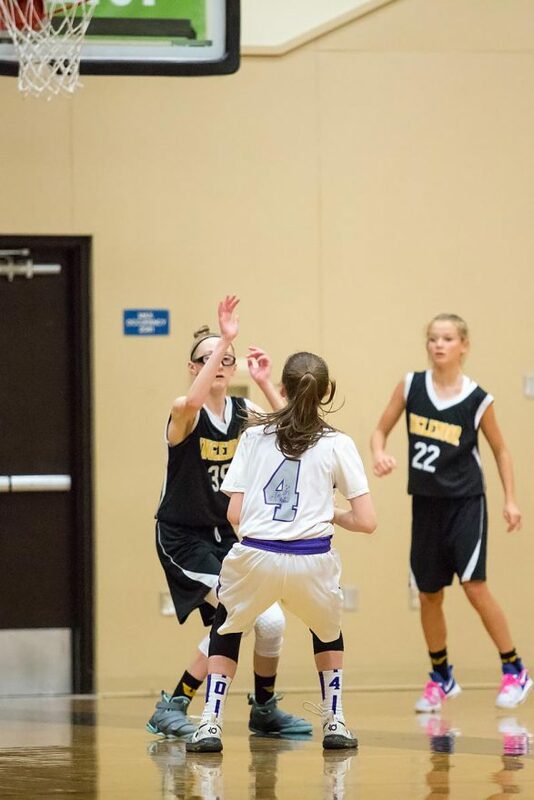 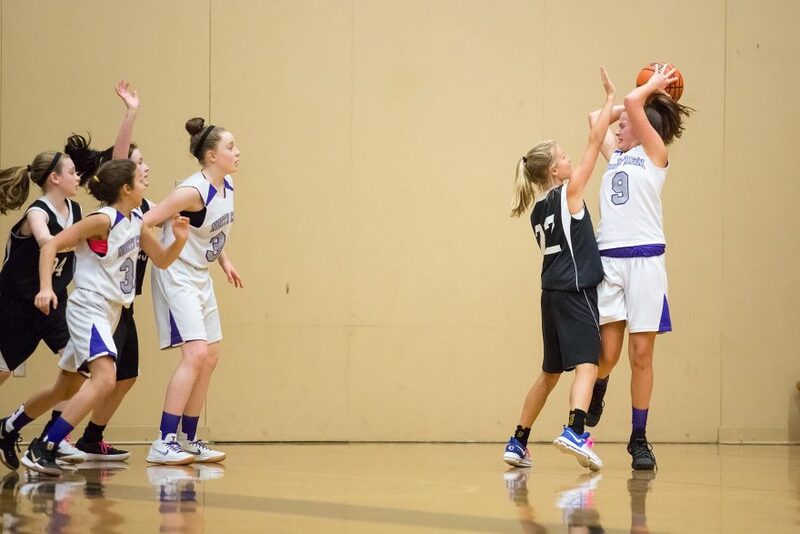 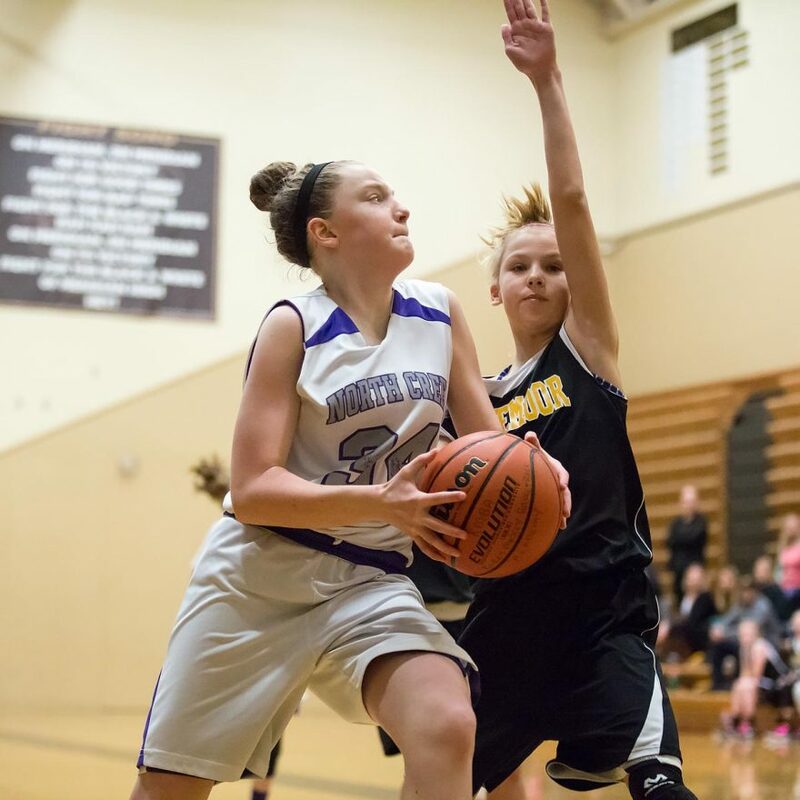 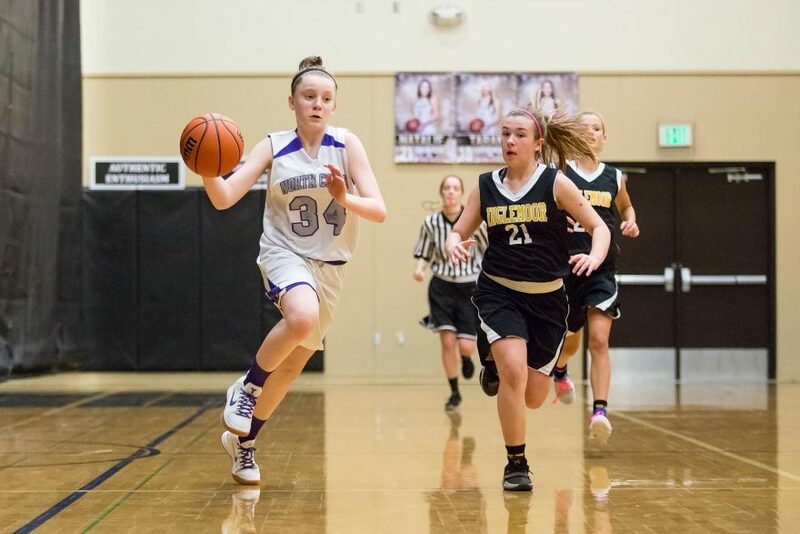 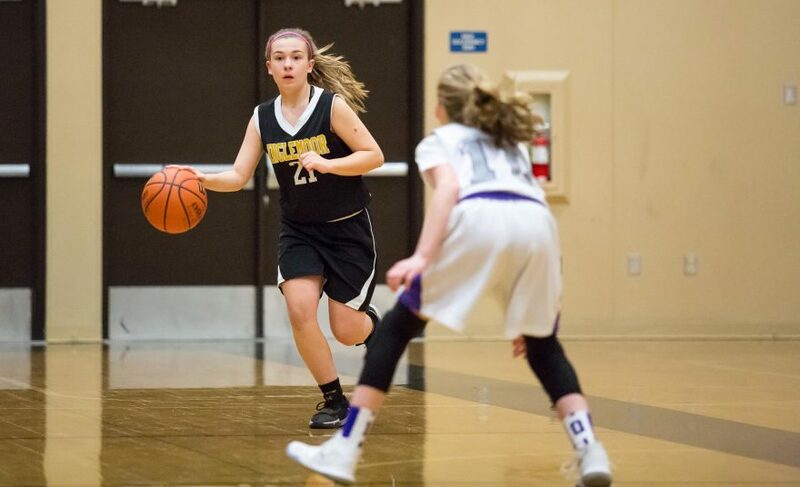 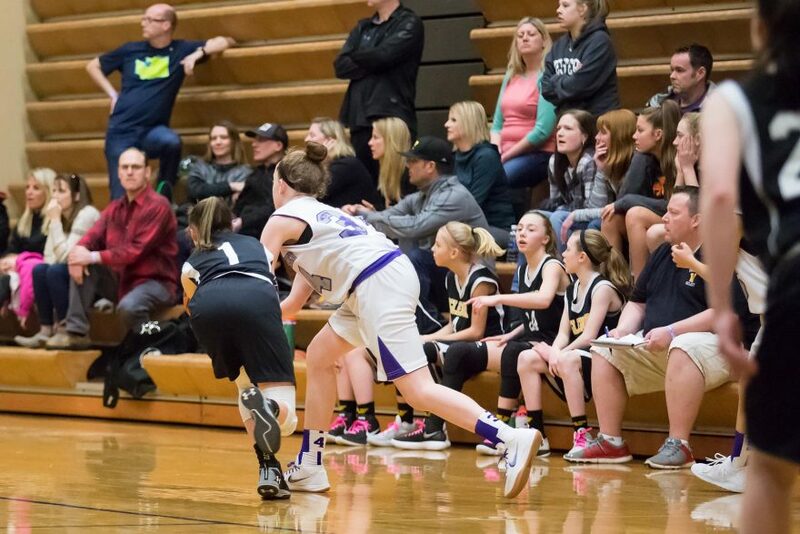 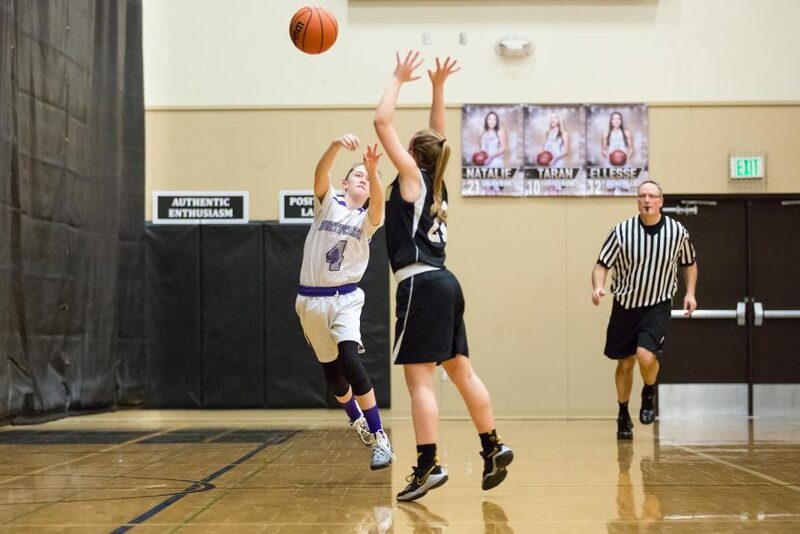 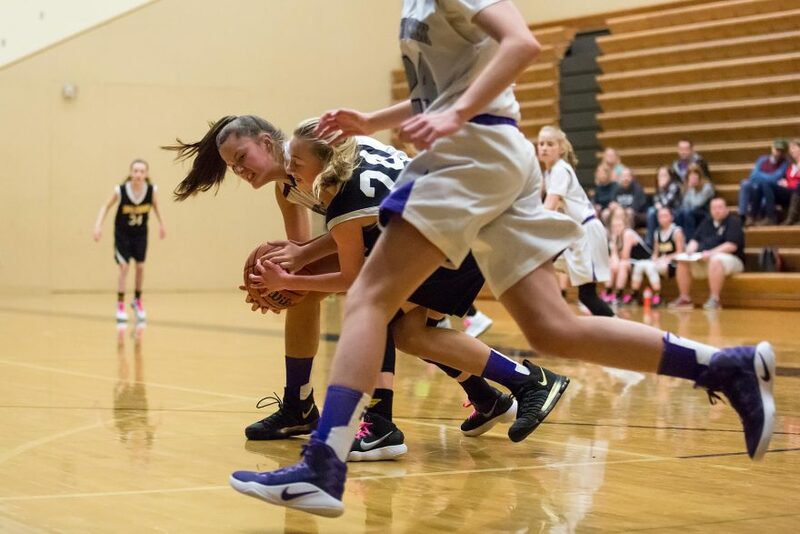 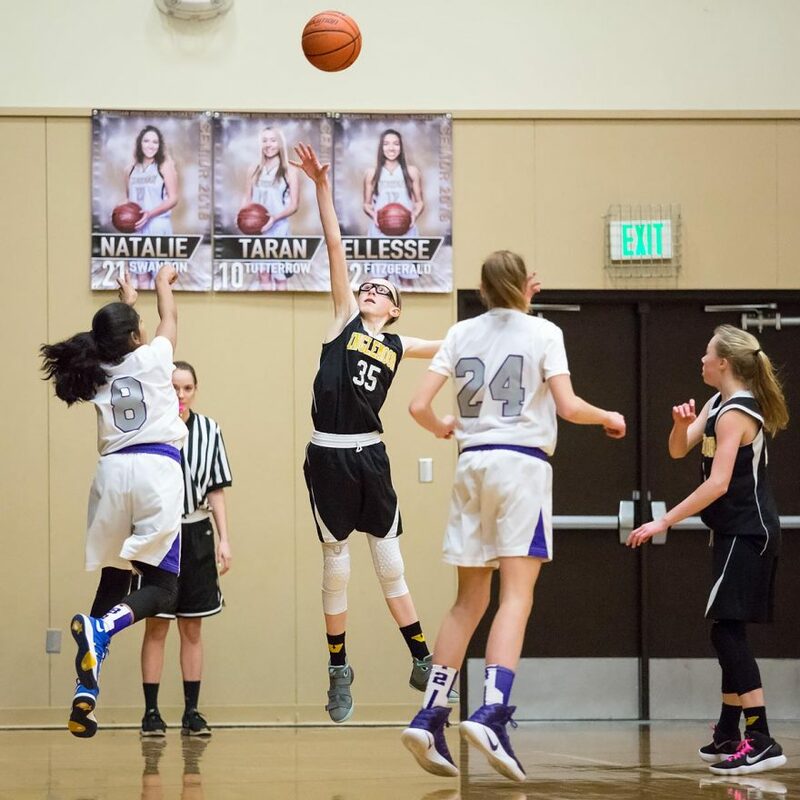 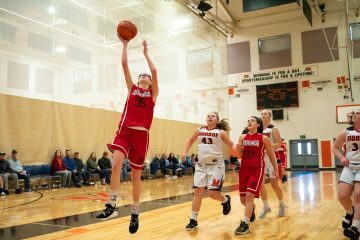 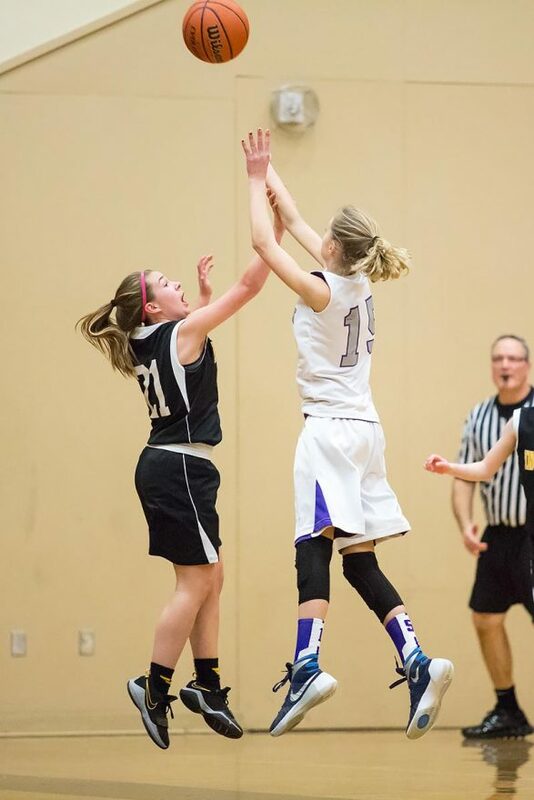 It momentarily appeared as though the game was heading in the direction of the Viking’s Friday Harbor match-up, but North Creek started creeping back into contention in the closing minutes of the half, scoring another field goal and a free-throw. 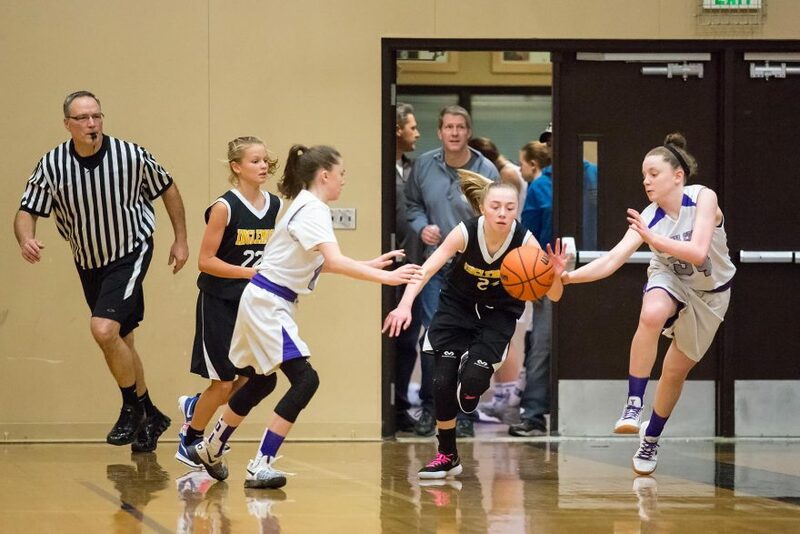 At halftime, the Vikings led 5-20. 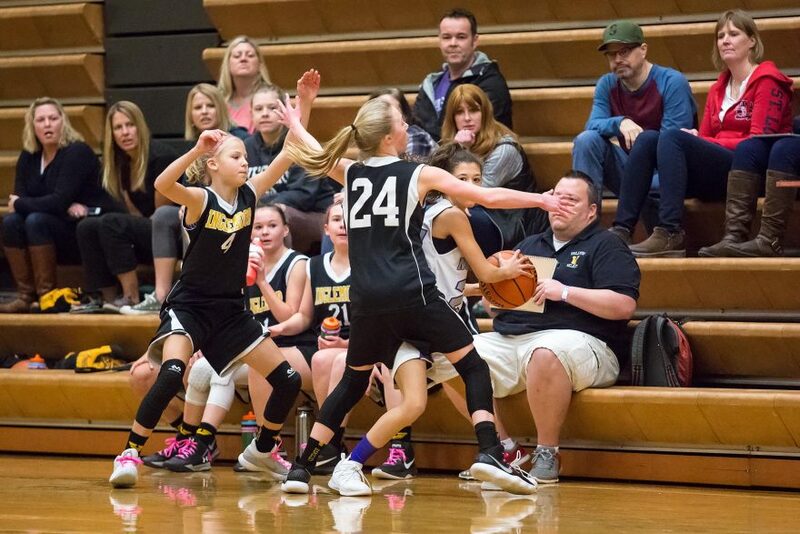 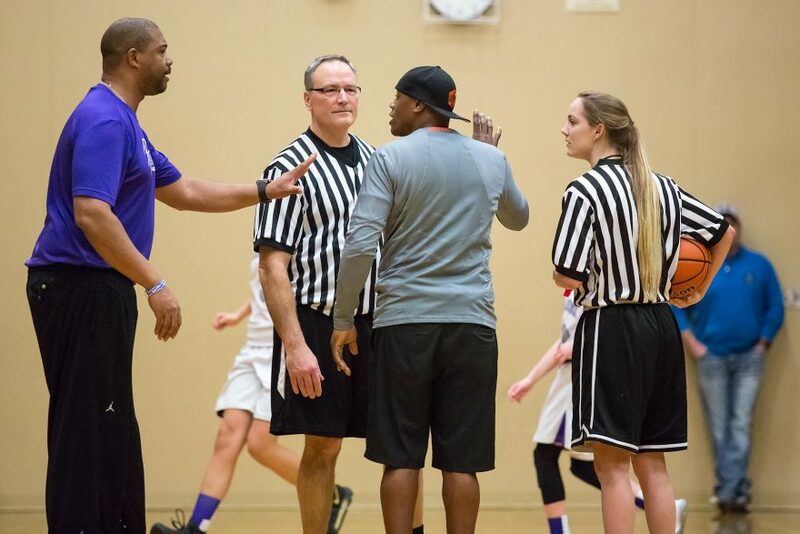 Exactly what occurred in the second half remains unclear to me; the game descended into a mess of fouls, creative officiating, and cries from the bleachers. 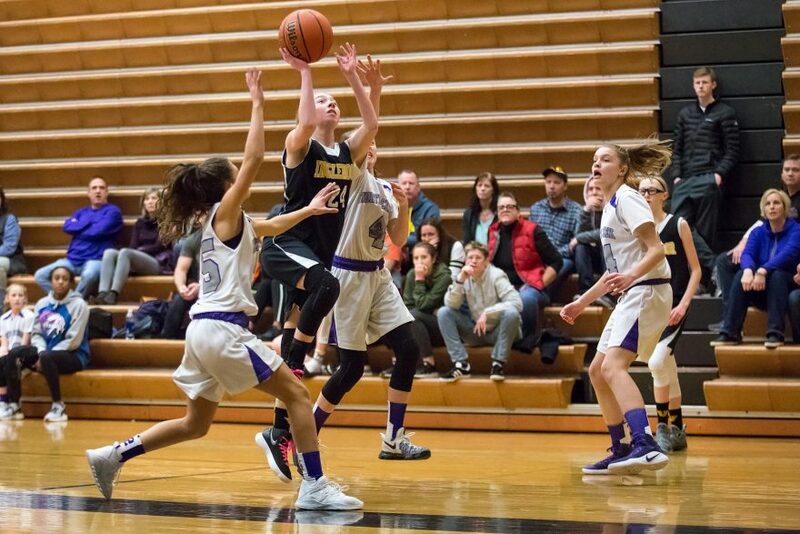 Indeed, the first seven minutes of the second half brought very little change to the scoreboard, with North Creek adding 4 points to their total, and Inglemoor adding only three, but at the midpoint of the period, both teams had added seven points each, making the score 12-27. 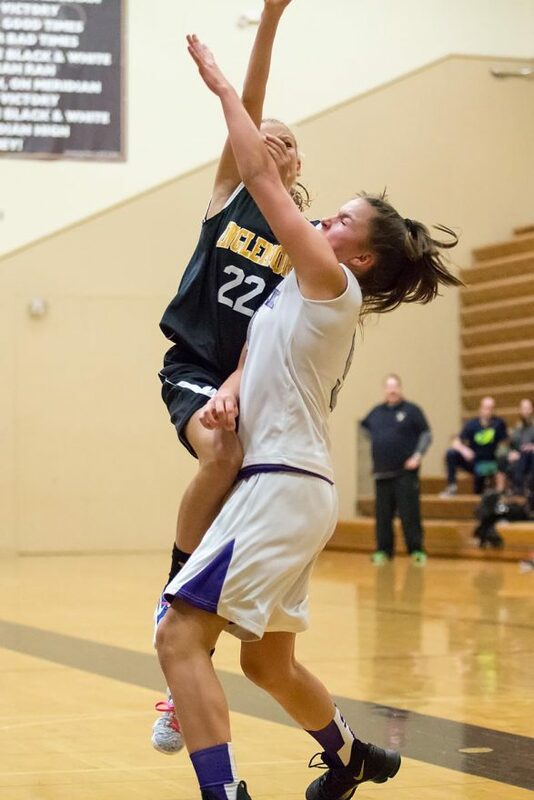 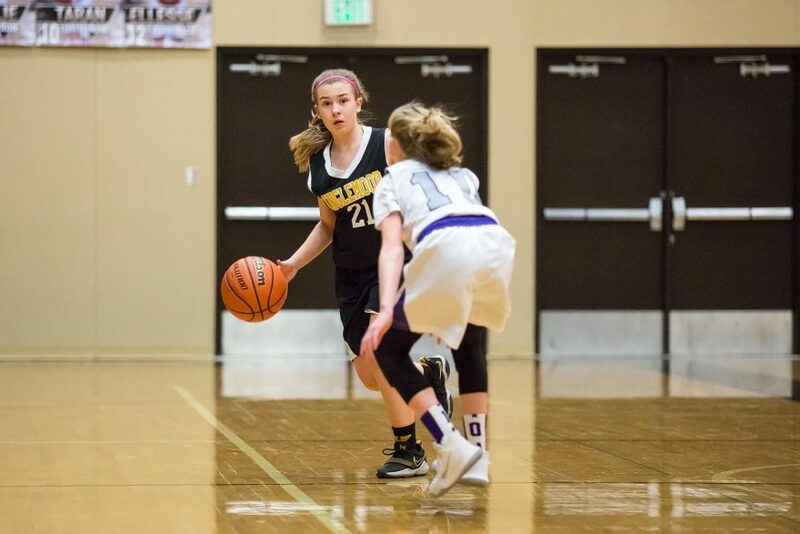 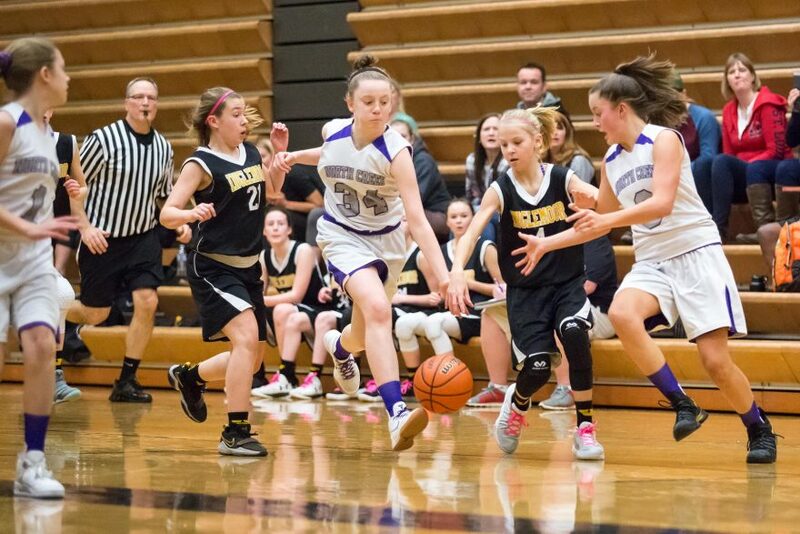 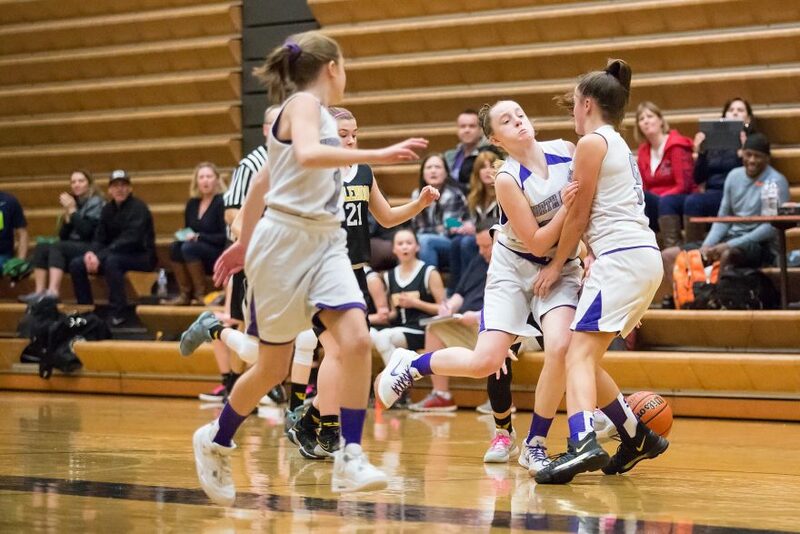 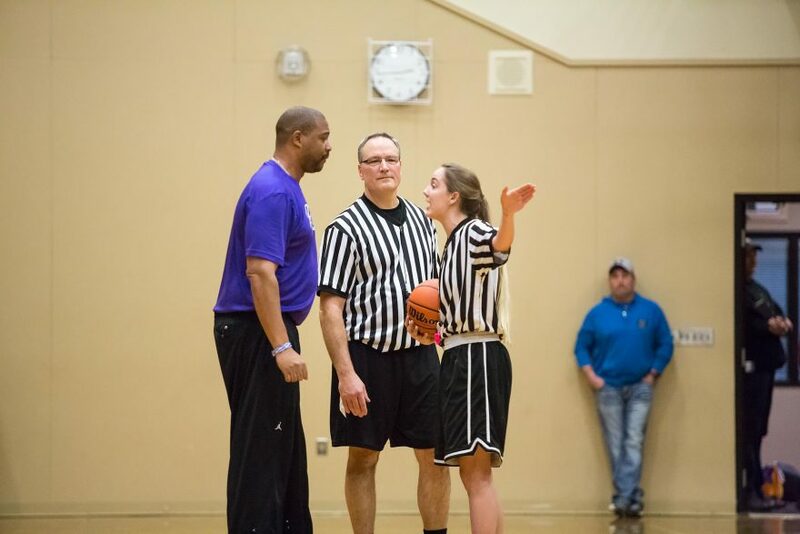 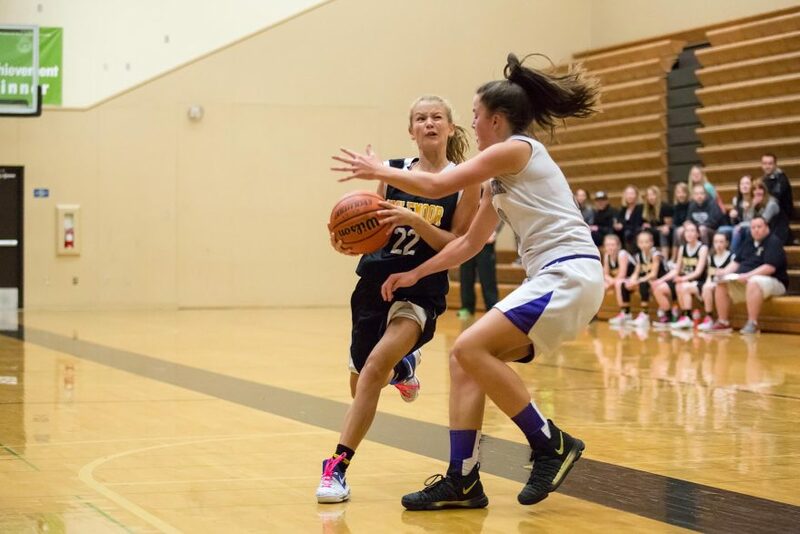 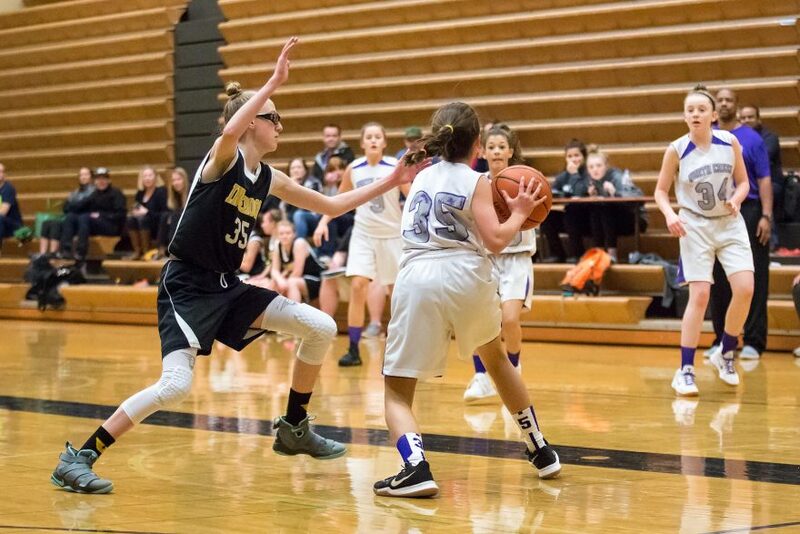 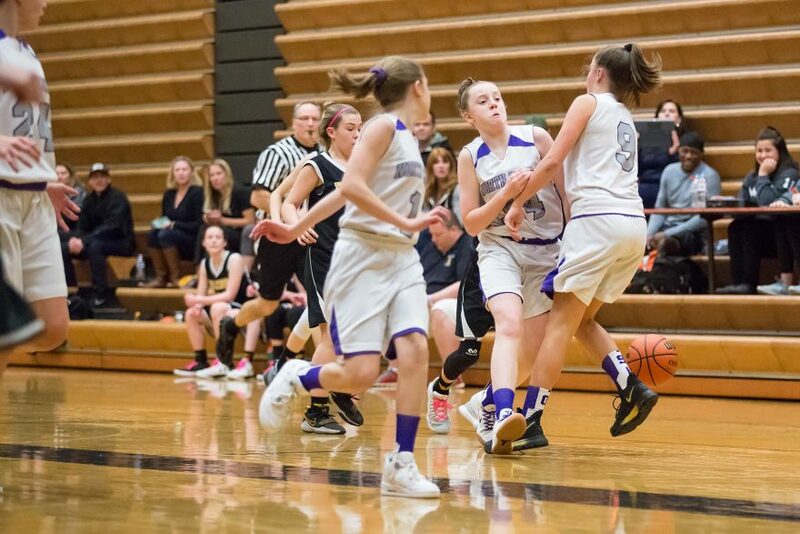 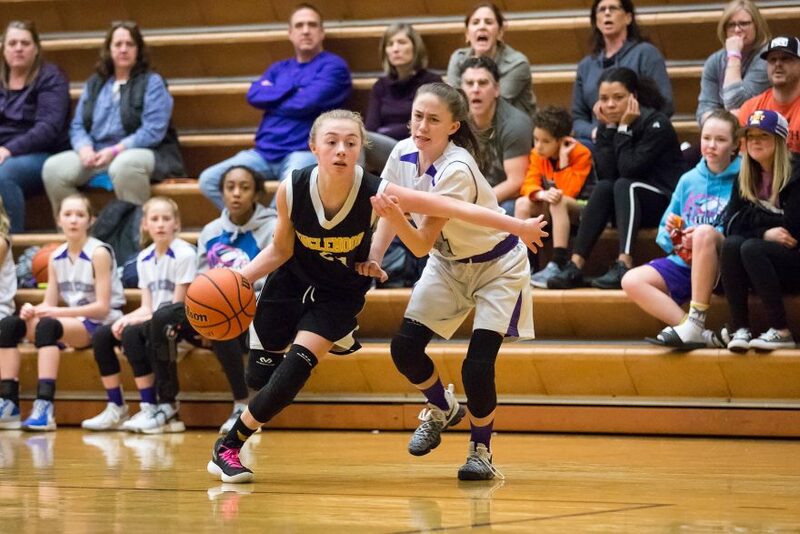 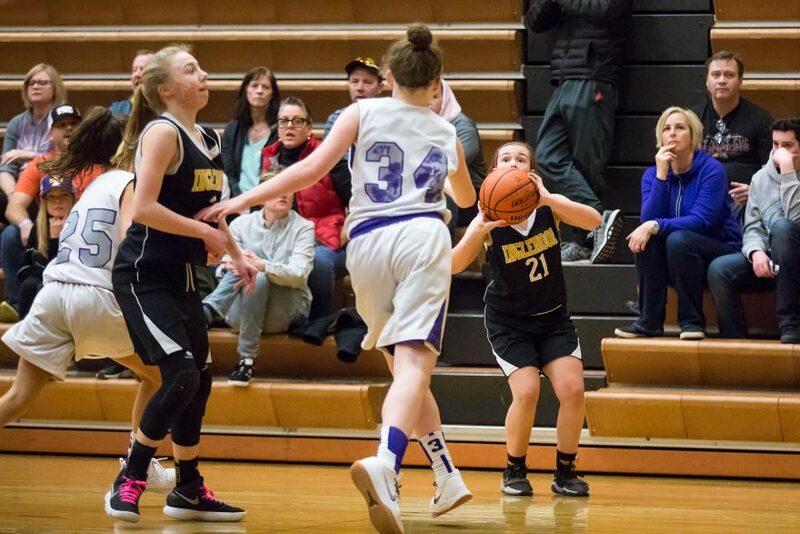 During the chaos that followed, though, the Viking’s starting point-guard fouled out of the game, and Inglemoor did not score in the ensuing eleven minutes. 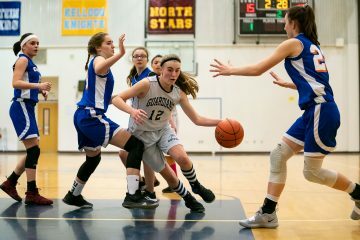 The Vikings did, however, hold North Creek to 18 points in the half, retaining a four point lead as the final seconds ticked off the clock. 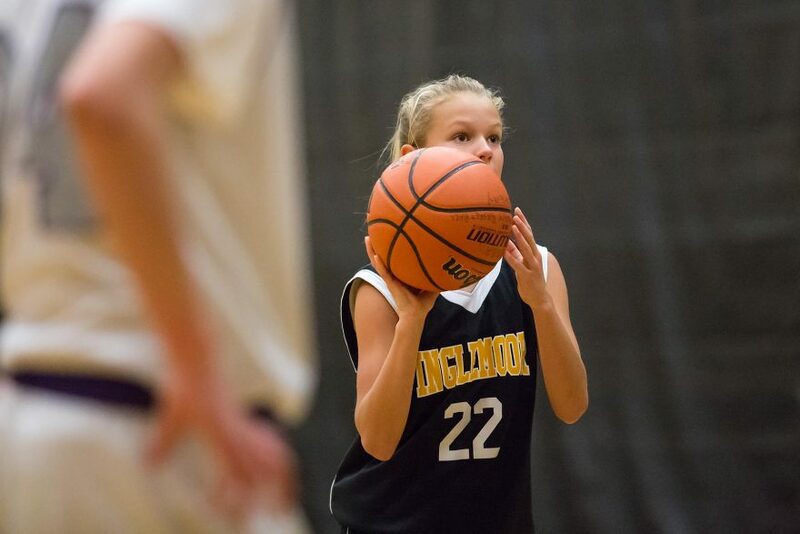 Final score: 23-27, Inglemoor Vikings.